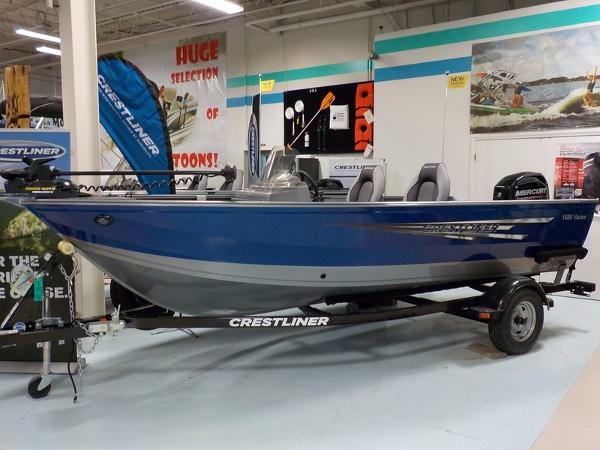 1980 Crestliner Muskie Pro 16 JUST ERRIVED! 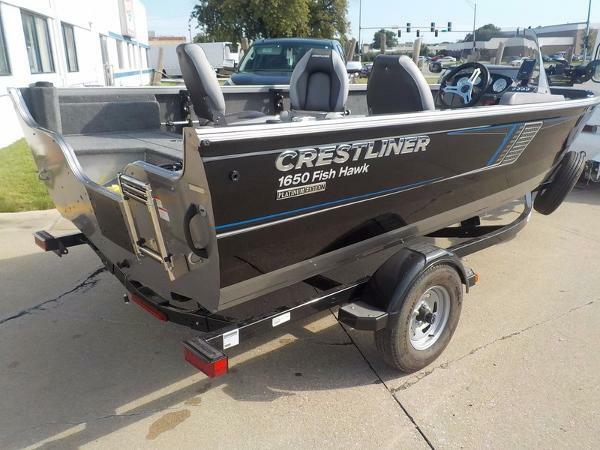 1980 Crestliner Muskie Pro 16 1980 Crestliner Muskie Pro 16 fishing boat with Johnson J20CRL 20hp outboard and Shorelandr single axle trailer with load guides and spare tire. Carpeted floor with rod storage. Mostly good condition. 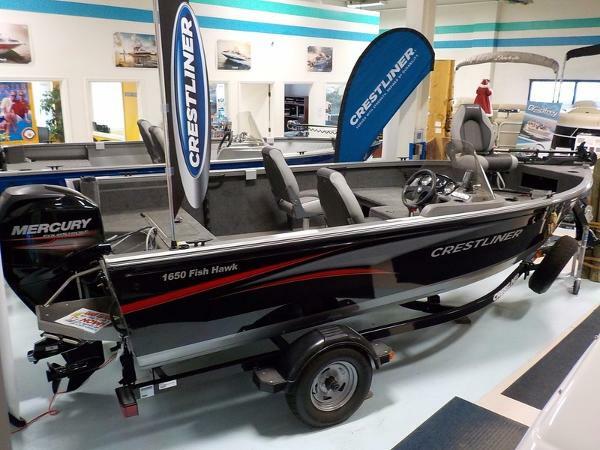 2015 Crestliner Super Hawk 1850 CLEARANCE PRICED!2015 Crestliner Super Hawk 1850 2015 Crestliner Superhawk 1850OB with Mercury four stroke 115hp and Shorelandr trailer loaded with all the popular options! 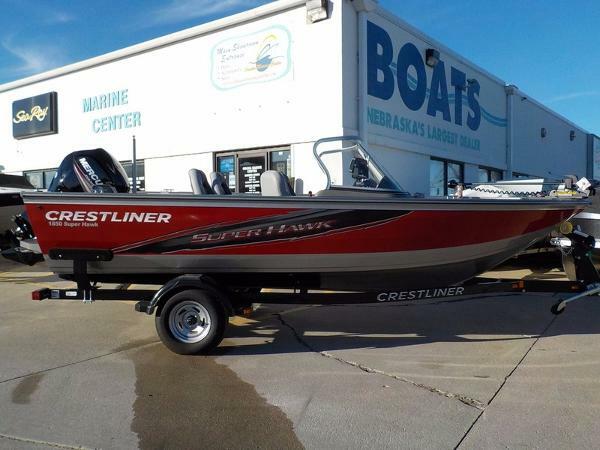 2015 Crestliner Superhawk 1850OB with Mercury four stroke 115hp EFI and Shorelandr trailer with swing tongue, brakes, and spare tire. 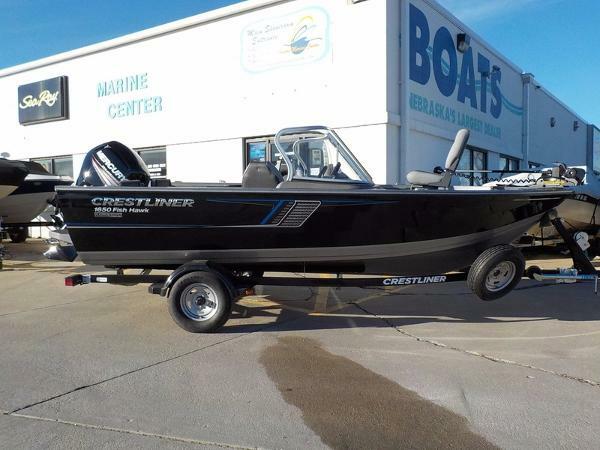 Loaded with all the popular options this package includes Deluxe recliner helm chair and 3 deluxe pedestal seats and thew new aft jump seats, bow cargo nets and bow livewell, Humminbird 859CI HD Ram mount dash finder, MinnKota 70LB V2 PowerDreive 24V trolling motor, ski two pylon, upgraded Clarion stereo, and swim platform ladder, and vinyl cockpit flooring! Yes...that is loaded! 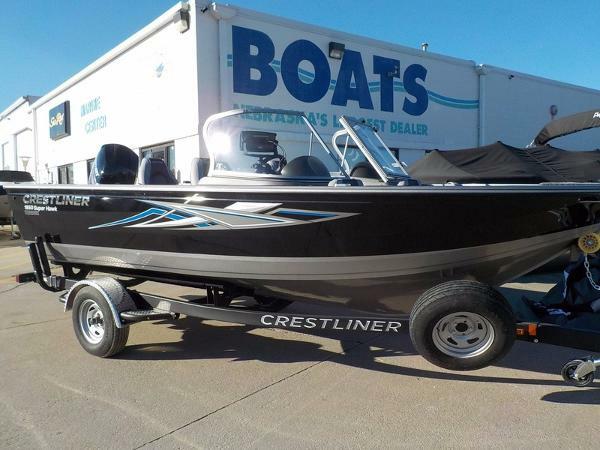 2013 Crestliner 2050 Raptor JUST ARRIVED!2013 Crestliner Raptor 2050 Pro Staff Tournament equipped Boat! 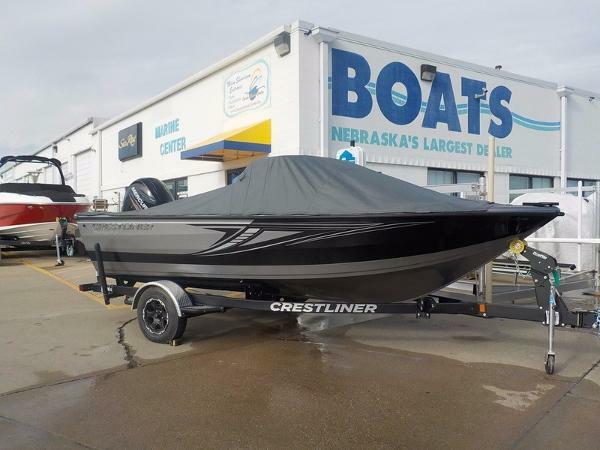 2013 Crestliner 2050 Raptor WT Full windshield with Mercury 300 Verado and Mercury 9.9 Bigfoot Pro Kicker and matching Shorelandr custom tandem axle trailer. Loaded! Excellent condition! 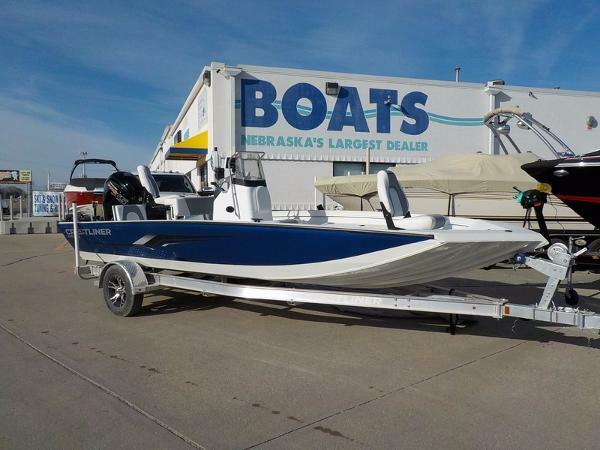 Package includes a long list of extras:Power assist steering, digital throttle and digital gauges, cockpit vinyl floor with snap-in carpets, 3 power pedestal pro fishing seats, new custom travel cover, 3 bank on board battery charger, folding bimini suntop, dual Optima starting batteries, fixed mount VHF radio, 4 Ran rod holders with 10 bases, Humminbird 1198c/si and 998c/si finders with GPS and RAM mounts, st. steel prop. 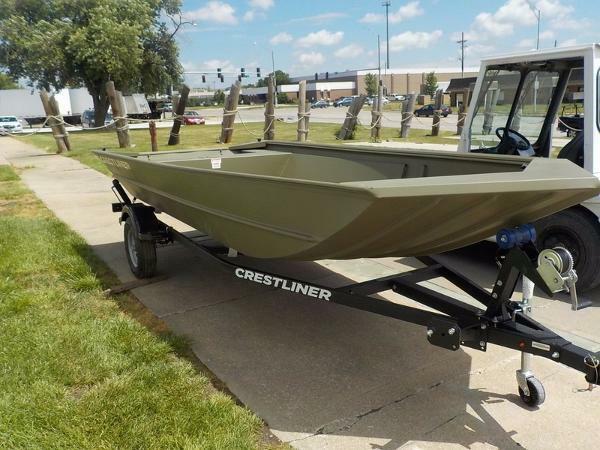 Trailer has aluminum mag wheels, diamond palte fenders, radial tires, ratchet tie downs, load guides, swing tongue, dual axle brakes. 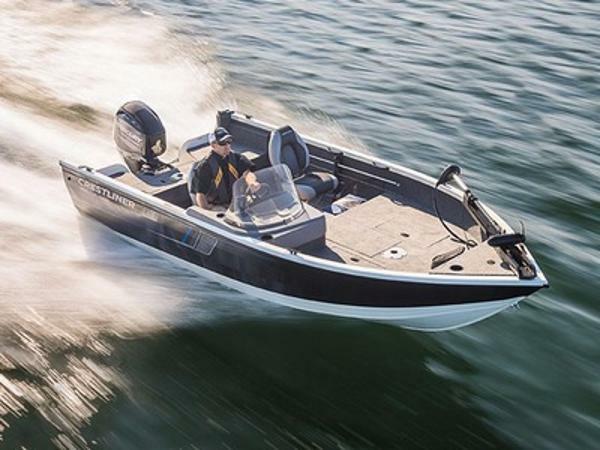 No trolling motor is included. Troll Master Pro 2 Speed controller for the kicker motor. 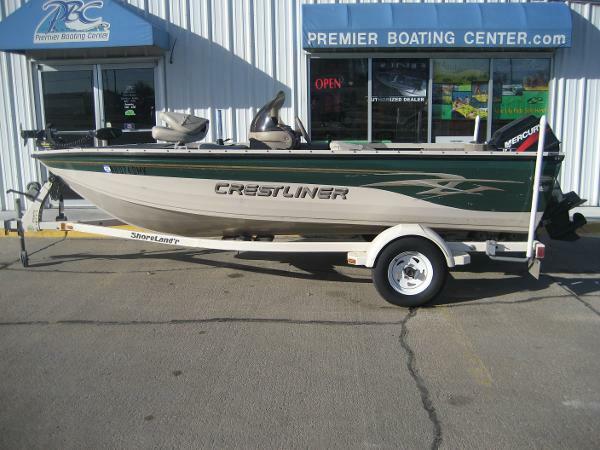 Excellent condition with some Mercury factory warranty left.hard to find boat! 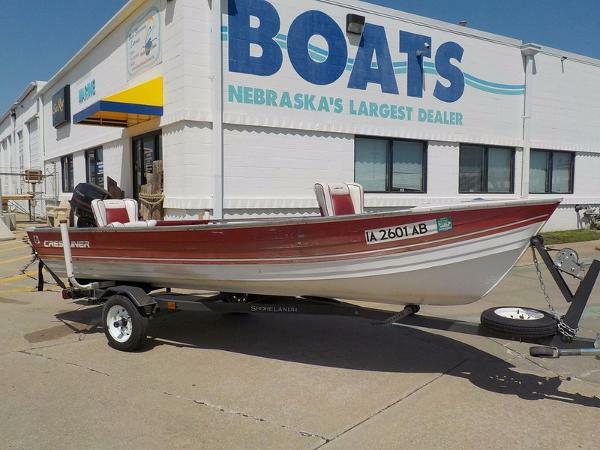 This boat is currently in offsite winter storage and may be viewed by serious buyers by appt only at this time. 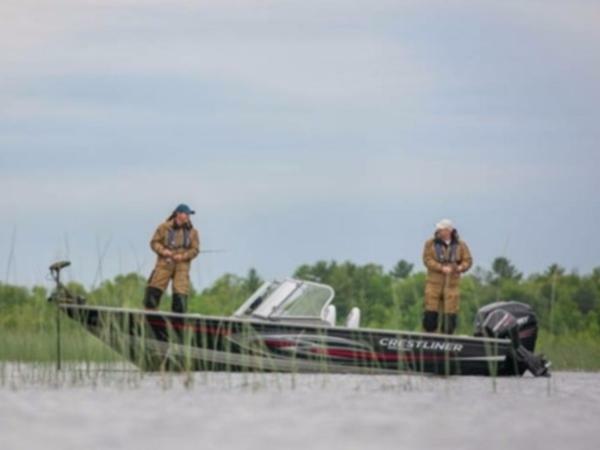 The Raptor has always been about fishing, so expect nothing less than everything you need to work a honey hole or get the monster catch. 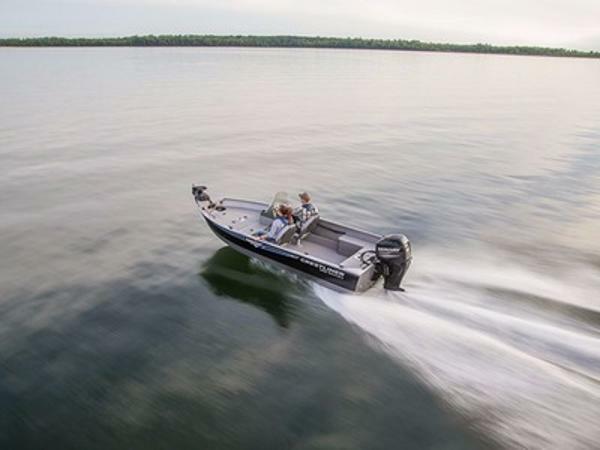 Outfitted with a deep 17-degree deadrise hull and an expansive, open deck design, the Raptor has been the boat of choice for anglers throughout North America year after year.